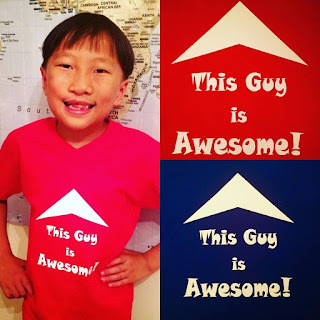 All these shirts are available in the shop and also in my Etsy and Facebook stores. I have the color just listed as white for all sizes but you can request basically any color when you order and I will let you know the time frame for delivery based on whether I have to order the color you want or have it in stock. You can get any of these designs on a tie-dyed shirt as well for an extra $10 charge. 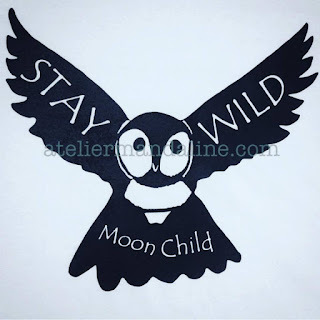 Right now these new designs are on sale in the Atelier Mandaline shop, so I hope you will check it out! 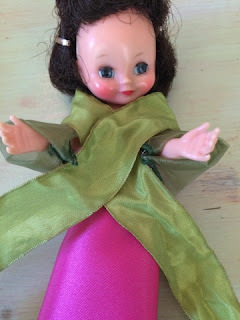 Learn to make a kimono for any doll. 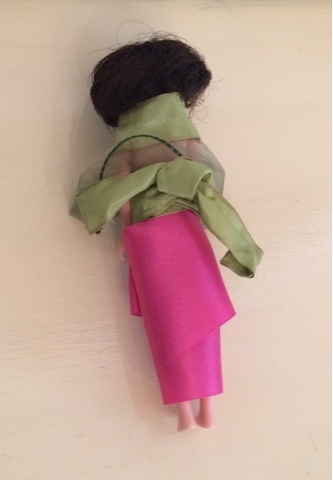 I recently got a request from a client for some handmade kimonos for her Japanese Gofun dolls. Although I have heard of Gofun dolls I wasn't very familiar with them, so I looked them up to see if I could find a clothing pattern. Well, I discovered there are no patterns, probably because most Gofun have pinned-on or sewn-on clothing. Gofun dolls are tourist dolls from Japan. 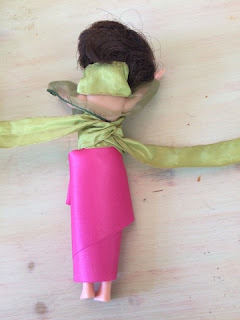 Sometimes they are jointed and free-standing and other times they are wired-armature dolls fixed to a stand and posed in position as a dancer, fighter, or musician, most typically. Although their clothing looks extremely rich and detailed if you look closely you will see it is mainly just hemmed cloth wrapped and draped over the doll. 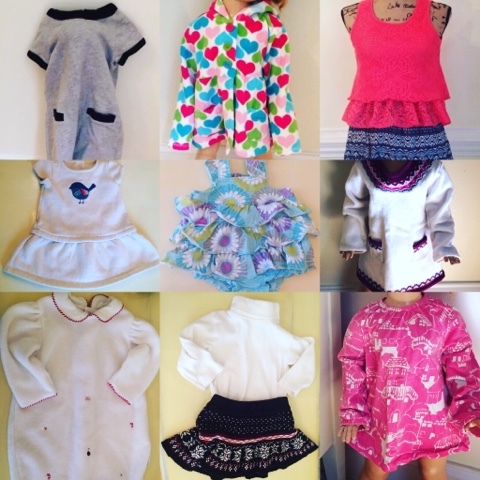 Since my client is in the UK it would be especially cost-prohibitive for her to ship me the dolls to dress them, and it's really pretty easy to make these clothes yourself. To get started you will need your doll as well as some straight pins and wired ribbon in wide and narrow widths. Then you will need some really wide unwired ribbon or just hemmed cloth, such as a scarf or handkerchief. If you have basic sewing skills you might want a needle and thread as well. Fold over the edge of the wired ribbon. Begin by making the sleeves. Fold over the edge of the wired ribbon. 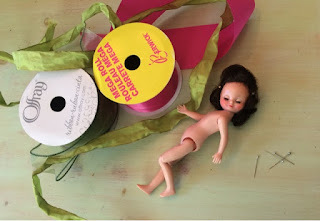 The larger your doll the wider the wired ribbon you will need. Fold the sleeve over the arm. Cut the ribbon for the next sleeve. 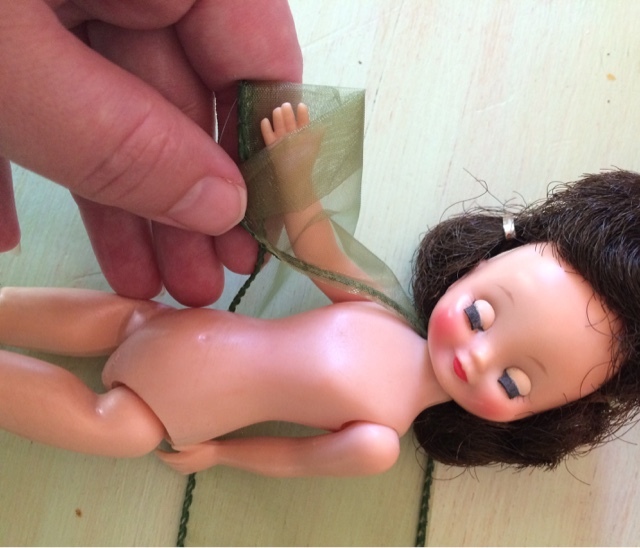 Lay your doll on the ribbon with the ribbon under her shoulders, as shown. 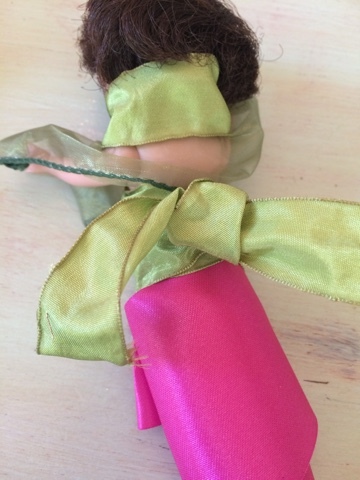 Place the folded edge on the doll's arm and bend the ribbon over the arm to make a sleeve. 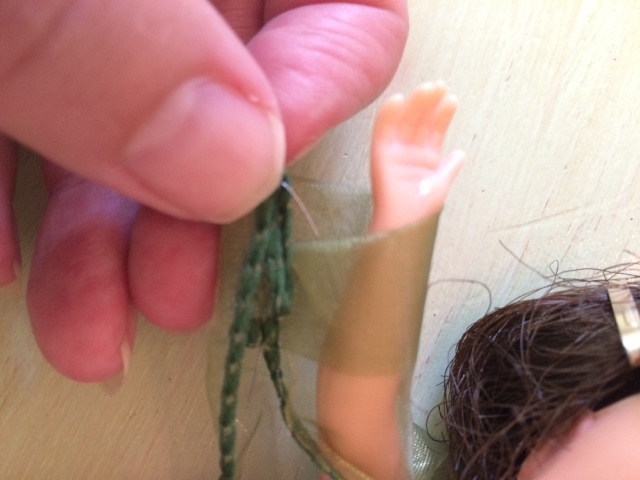 Extend the doll's other arm to see how long your piece of ribbon should be. 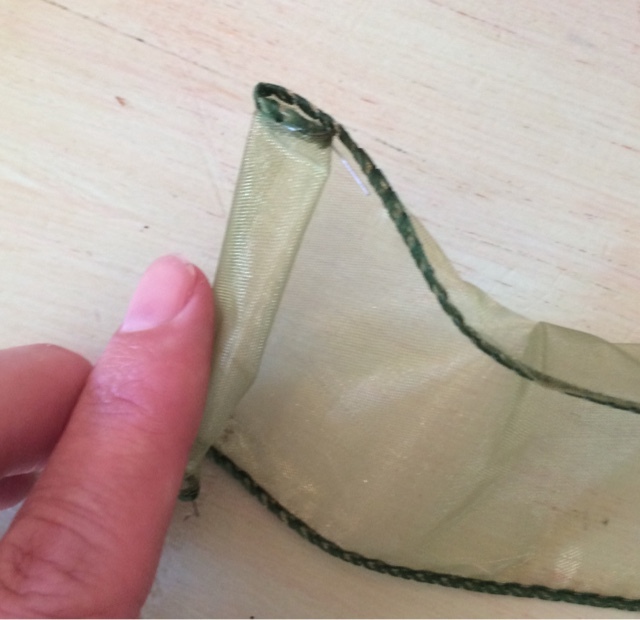 Allow enough length to fold the edge of the ribbon over a couple times after you cut it. Poke the wire from one corner inside the sleeve. After you have folded the ribbon on both hems and folded the sleeves over the arms, you can use the wire on the edge of the ribbon to attach the sleeve. There is almost always wire poking out of the edge of the ribbon and if not you can coax some out at the cut edge. Poke the wire from one side of the sleeve edge into the other side to close the sleeve. If you can sew a little you can also just sew a stitch at each wrist to hold the ribbon in place. 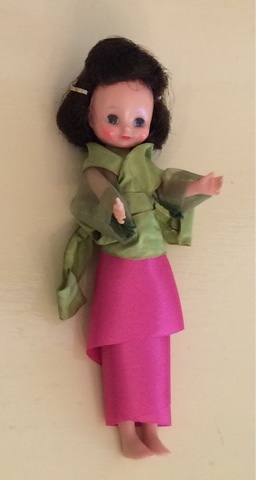 Wrap the unwired ribbon around the doll to make a skirt. Now take your unwired ribbon or hemmed fabric and wrap it around the doll's waist. Wrap it again around her knees and again around her calves and then bring it up and wrap it around her waist again. Pin the skirt in place as shown. If your doll has a cloth body you can pin the fabric right to the body. If you can sew you can put a stitch or two in the waist to hold the fabric in place. Cross the ribbon over the chest. 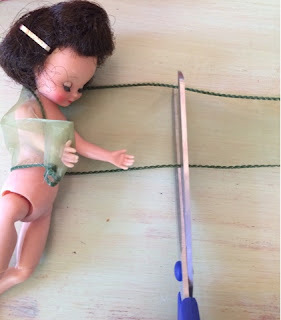 Now take your narrower wired ribbon and lay your doll's neck on the center of the length of ribbon with plenty of ribbon on each side of the neck to wrap around the chest and waist a couple times. Draw the ends of the ribbon over the shoulders and cross them over the doll's chest. The ribbon will go over the tops of the sleeves. 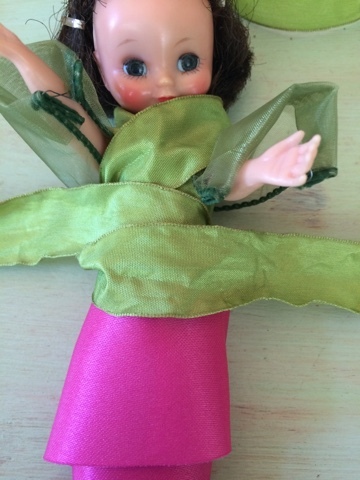 Then raise the arms and draw the ends of the ribbon under the sleeves toward the back of the doll. Make sure you are covering the straight pin in the skirt. Wrap the ribbon around the waist. Now take the ends of the narrower wired ribbon that you have crossed over the chest and wrap them around the back of the waist and then to the front of the waist passing under the arms and sleeves this time. Pull the ribbon tight, wrap it around the back of the waist again, and knot it. Knot the ribbon in back. Make the knot a loose knot like an Obi sash. Then shape the ends of the ribbon as desired. As you begin to explore the possibilities with this method you will see you can create all kinds of kimonos and other clothes. You can tie the bodice sash in front, for instance, or leave the ends of the ribbon really long to create a train. 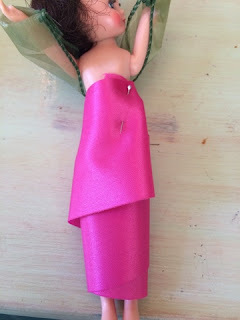 You can make a shirt by wrapping ribbon or fabric around the arms and torso as you did with the skirt. This type of clothing works best for a display doll, obviously, and not a play doll. 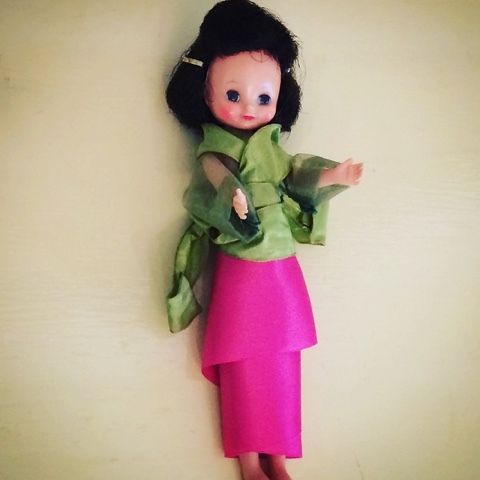 The Gofun dolls are meant to be collector dolls and decor, not play dolls. As always, I am happy to take custom orders for dolls and clothing, as long as I can find a pattern for the clothing. You can contact me to place a custom order ateliermandaline.com. I have some exciting news on the website front: new payment options are available! Now you can pay by credit card or with PayPal when you purchase from ateliermandaline.com. 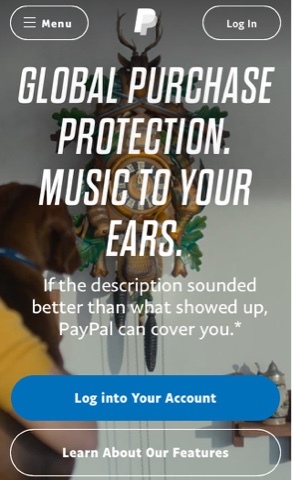 PayPal's purchase protection and free return shipping offers are extremely attractive to many and I am proud to now offer that option. I have big hopes and plans to expand the products listed on my personal website. I keep hoping to have more time to create and restore new products. To be honest, I'm also a little sick of dealing with eBay's capricious whims as well, and I would like to have more traffic to my own site. Today I got a message that eBay has decided they will no longer allow the sale of used socks, which would not be a problem except that before making this announcement they removed all listings which contained socks. I had several baby outfits with little matching socks (and, let's face it, 3 month sized socks are a lot more sanitary than, say, used bodysuits or swimsuits for babies, if you don't think washing clothes removes germs) and they deleted those with no warning. So, now I will have to dig all those out of inventory and take new photos. I will probably be listing them on Poshmark. I could remove the socks and relist them on eBay but I don't really feel like giving them the money. That's just one thing they've done recently that's angered me. 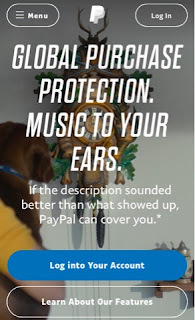 It seems like eBay is trying to drive sellers of used and vintage items off the site, and since there are tons of new options for selling online, I will be exploring them. Before eBay made me mad I listed a ton of new inventory. I have a huge lot of new girls' clothes in all sizes as well as all the retro stuff I wrote about last week. 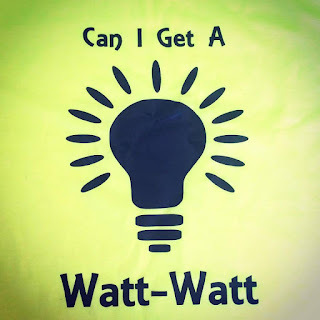 I'm having an auction event with hundreds of listings, so I hope you will stop by and bid. My husband had the kids clean out their rooms and the attic over the long weekend, so now I have probably at least a thousand toys and their pieces to sort through and list. These date from the 1970s all the way to the present and I have stuff for girls and boys. I was planning to do a big eBay event but now I don't know. I probably will end up swallowing my pride and listing most of them because, realistically, I already have a store subscription for the year so I'm paying for a lot of listings. I'm definitely going to be adding a bunch of them to my website, though, so I hope you will look for those in the coming months. I want you to have all the best options for purchasing and paying when you shop with me! Link to all my stores right from ateliermandaline.com. Celebrate Independence Day with Atelier Mandaline! Use code CELEBRATE for 20% off any order from Etsy, Facebook, or Atelier Mandaline shops. Take an extra 15% off the eBay store. Link to all the stores from ateliermandaline.com. 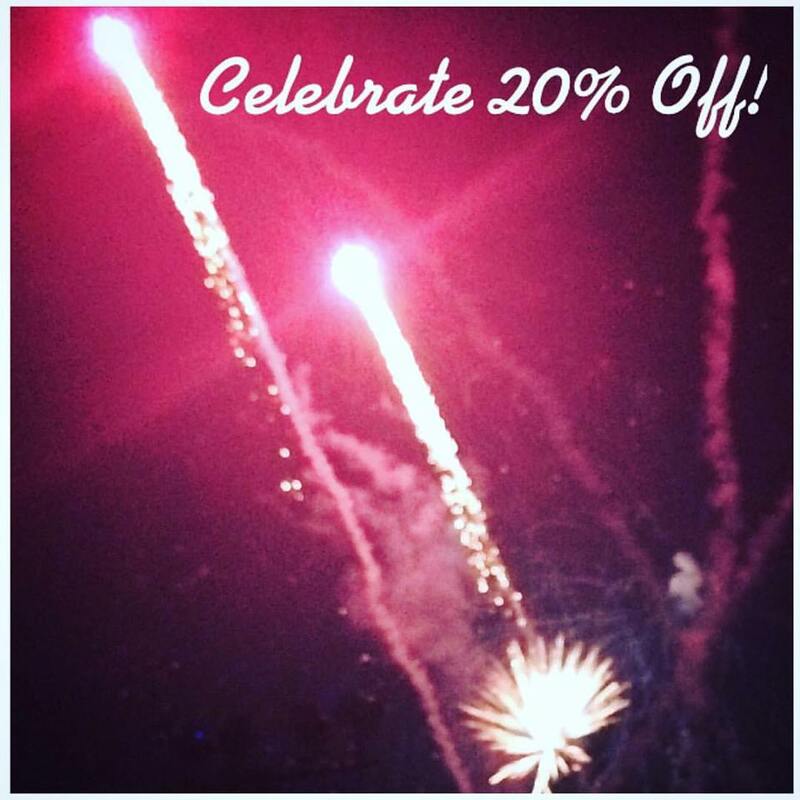 Hurry, though: just like fireworks, this 24 hour sale is gone in a flash!